Last Son of Krypton vs. Avatar of the Phoenix! The winner of this mach will face either Odin or Dr. Strange in the Final Four. Voting closes Saturday, June 10th at midnight EDT. Can I book a flight to Mars before this fight breaks out? Depending on which incarnation of Supes and Phoenix we're talking about, these are two beings with pretty much as much power as there is. But IMO Jean has a crucial advantage, being able to attack Big Blue's mind as well as his body. His will is very strong, but mentally he is more vulnerable. I'm with all the shades of Grey. Jean. 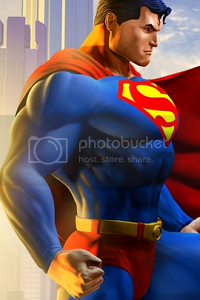 Supes just doesn't have any defence against having his mind zapped. Unless he brings it up to relativistic speeds and hits her faster than she can perceive him. 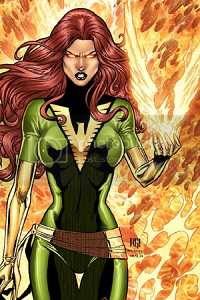 In phoenix form she can pull the same trick. The Phoenix rises to defeat the Man of Steel!